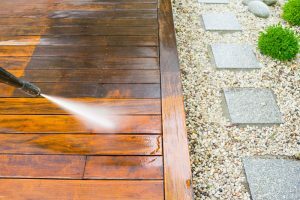 Deck washing Johns Creek GA is one of the most important cleaning service because it make your house look perfect. Many home owners think that deck wash seems like an easy task and they can do it themselves. However, true deck wash or cleaning needs a professional rule and regulation and also techniques. Deck washing is not as easy as you think. Moreover, at Foxland Cleaning we focus on the total experience provided our customers. Furthermore we have a team of professionals who love to do your job as its own. Our first priority is to make our clients satisfy from all aspects. Most of all we ensure you that our professional staff and workers are very experienced in all these thing so you don’t need to take tension just call us any time we will done your job. If you have any question feel free to call us at 770-369-5263 or look through our blog for many great resources. If you would like to see an article on a certain topic you are curious about please email us at support@foxlandservices.com. © Copyright 2018 Foxland Cleaning. All Rights Reserved.